Every week we like to look back at everything we have read to bring you more information about the digital divide, digital inclusion and technology trends from around the web. Today on The Weekly Plug we look at a recent PowerOn event, a review of a distribution event at Moonlight Villa Computers and Wednesday wisdom in this edition of The Weekly Plug. A new PowerOn center in Allentown, PA will expand he need to computer access to those in need. PowerOn was founded in 2014 by Josh Hutcherson & Straight But Not Narrow (SBNN), human-I-T, The Trevor Project and the LGBT Technology Partnership. Lesbian, gay, bisexual and transgender (LGBT) individuals and organizations in need receive technology and access to important digital resources. Frontier Communications donated Chromebook laptops in a collaboration human-I-T and the City of LA. This event focuses on our recent distribution event in Pacoima with Council President Herb J. Wesson, Jr., Frontier Communications, Housing Authority of The City of LA and the California Emerging Technology Fund. Wednesdays always remind us that we're half way through the week. 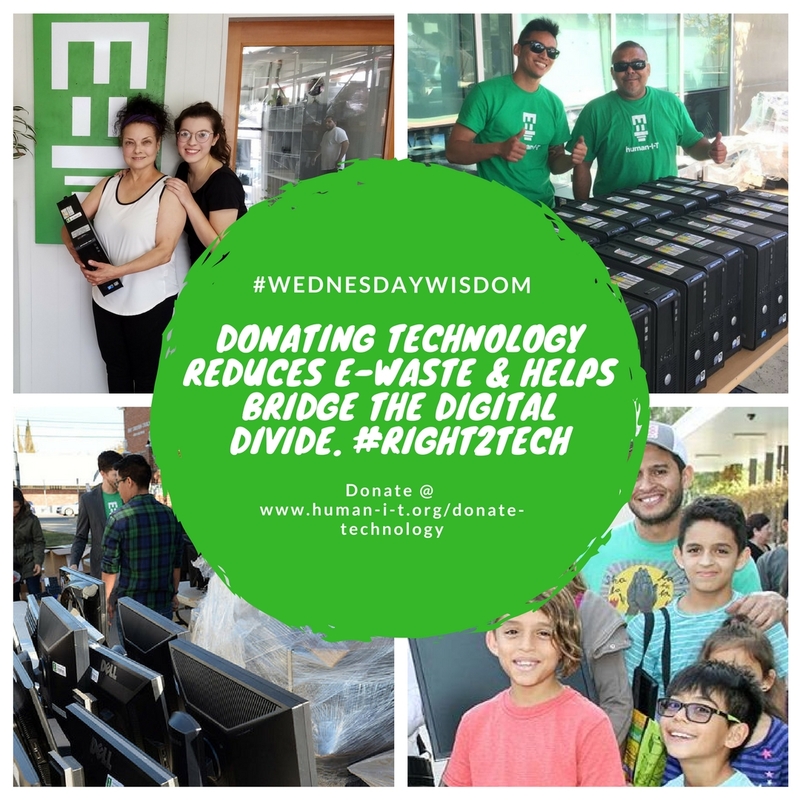 They can also teach us something new that technology donations can reduce e-waste and bridge the digital divide for low-income families. More information:Read more about our programs.